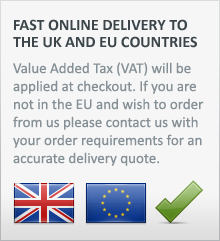 Fast delivery from £3.99, calculated at checkout. Edged Arts is your direct source for the full line of products from CAS Hanwei; including Hanwei Swords (Paul Chen) and Rock Creek Knives in addition to the ever expanding GDFB line of Armour, period clothing and accoutrements, much favoured by re-enactors and role players. Many of the Hanwei items found on our site can be purchased nowhere else in Europe, so if you are looking for that hard to find Hanwei product then look no further than our exclusive range. 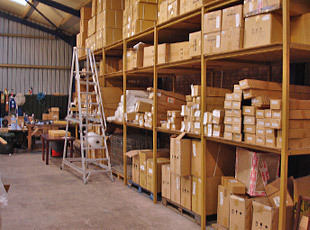 We have a purpose-built stock house to hold our large range of re-enactment weaponry, armour and LARP clothing and accessories. Your order is picked quickly ready for fast despatch to its destination. 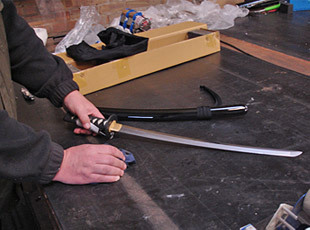 After being picked, we thoroughly inspect and prepare every item before packing it ready for fast despatch to you. Our products are special, and we want them to arrive safely and securely at their destination... in perfect condition. Our online payments are processed by PayPal, the world leader in secure online transactions. You can pay with all major credit/debit cards or with your PayPal account. Legal Notice: You must be 18 years of age or over to purchase knives, swords, axes or any other article which has a blade. You will be asked to confirm your age during the ordering process and our couriers will require a signature from a person of 18 years of age or older before they will hand over any parcels. You may be asked for proof of age.